What is the End of Austin? It is the beginning of a much-needed conversation about the identity of Austin. Bringing together writers, scholars, and artists from Texas and beyond, TEOA is a place to wrestle with the hype and hope of living in the fastest-growing city in the US. How do we preserve what we love about this place? What have we lost already? Is urban nostalgia a productive fantasy that bonds us to a particular vision of place, or a dead-end lament for the way we never were? Those are the essential questions for TEOA, a new online publication that will appear twice a year with a robust mix of art, music, scholarship, creative writing, photography, and video about Austin’s shifting identity. Why try to create this sort of collaborative work on the boundary between art, journalism, and scholarship? The answer reflects our roots in the American Studies Department at UT-Austin. For us, American Studies is a constant invitation to try new things, and perhaps the best place to experiment is in our own backyard. We hope to make American Studies into something ever more evocative, powerful, and relevant to people inside and outside of the academy. Traditional forms of academic output are important, but we have other contributions to make, other voices in which to address a multitude of publics, including right here in Austin. A city of perpetual nostalgia, Austin is a vivid place where rapid change pulls against profound attachments to the way things are (or how they are imagined to be). Perhaps this dynamic is what gives such poignancy to the idea of endings in Austin. Austinites are always afraid of losing what we love about the city: the vibe of a particular neighborhood, the murmur of the so-called creative class, the beauty and health of Barton Springs. The end of Austin, or at least some beloved facet of it, always seems around the corner, haunting our sense of place. Austin will probably never end in a literal sense, but our project is dedicated to marking and mourning the small endings that are happening on its streets each day. Certainly, there are those who believe that Austin is already dying, as my animation of actual Austin laments might suggest. With American Studies grad students Carrie Andersen, Sean Cashbaugh, Greg Seaver, and Emily Roehl, I’ve formed an editorial board to assemble new issues of TEOA. We are building on the great work that appeared in the pilot version of this project in 2011 as part of a grad seminar in documentary that I was teaching. We look forward to hearing what you think about the End of Austin, and hope you will consider contributing to our future issues. Do I miss the Armadillo sure, although I never actually got to go, too young and I did not live here. Will I miss Antone’s most definitely, even if I have only been there once. We make the world think ,our lifestyle choices and art are unique, we respect each other. It is our obligation as global citizens to utilize that respect . Our ancestors came before, always honor them and wisely speak of what we want as our future. The only thing that enjoys change is a baby with a dirty diaper. The only things that do not change are things that are dead. I will not live in a dead city. So yes, I love the fact people nod their heads at me on Town Lake and know my name at the library. There is a part of me that understands, this is why we are growing so fast. Folks need to be a part of something larger than themselves. The haters won’t stay. They will overbuild, lose money and leave. The ones that do stay will make money honestly and be benevolent. Because that is who we are and even when we are sitting on the freeway at 5 or screaming over issues we care about; our love for life is evident. The most precious aspect of this community is if you are wrong we will tell you, but if you are right we will tell you that too. 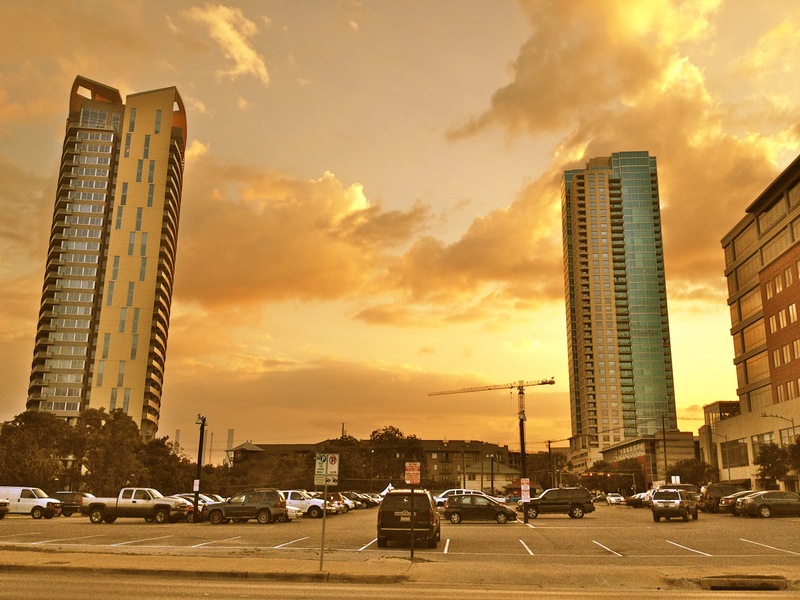 I will leave Austin some day….we all get old and die. Till then I will enjoy my ever-changing kind city. Hello. Great work. I just submitted TEOA to AcronymFinder, though there were other lesser TEOAs there. This entry was posted on January 8, 2013 by The End of Austin in Built Environment, Growth, Nostalgia and tagged American Studies, Austin, Barton Springs, development, Issue 2, nostalgia, Texas.